Recently, there were many disputes and controversy surrounding the issue of homosexuality. And I decided to touch on that in one of my Social Psychology assignment. It was suppose to be a letter to media, but here I am, sharing with you all an extract of my work. “I am Eddy Chua, a student currently studying in a local polytechnic. I am writing in with the purpose of discussing one of the most important and critical problem that still in existence in a first-world nation, a status claimed by many (Furland, 2008). That is, the discrimination of homosexuality. 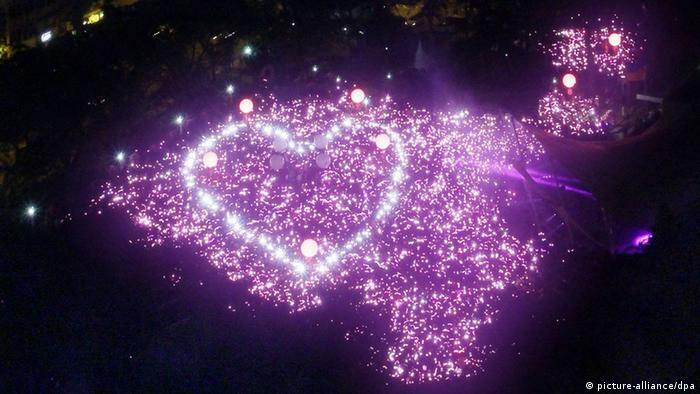 Despite the success of the ‘Pink Dot SG’ event, which saw an unprecedented 26000 people attending to rally for the rights of the Lesbians, Gays, Bisexuals and Transgenders (LGBT) community (Pink Dot SG, 2014), the discrimination against homosexuality is still significant in local society (Alviar-Martin & Ho, 2010). A recent study has shown that Singapore is still a conservative society in regards to such issue with 78.2 per cent of the respondents finding it wrong and 72.9 per cent finds gay marriage unacceptable (Tham & Mokhtar, 2014). The current judiciary does not make things better by suppressing the rights of the LGBT community. Under the infamous Section 377A of the Penal Code, it criminalized homosexual acts with a jail term of up to two years. It is no stranger to locals that there have been law suits surrounding this law, with the most famous ones being Tan Eng Hong v. Attorney General (2012) and Lim Meng Suang and another v. Attorney General (2013). Both the suits challenged the act for being unconstitutional and a form of inequality but were eventually dismissed (Channel News Asia, 2013). Such inequality can be regarded as a form of discrimination. The LGBT community is discriminated because they are not doing things that are considered ‘mainstream’ and therefore, people thinks that they do not entitled the similar basic rights as other ‘normal’ human being (Donnelly, 1999). On the week leading up to this year’s Pink Dot’s event, some Christians and Muslim groups urges their followers to wear white in protest of the ‘normalisation of homosexuality’ (Reuters, 2014). 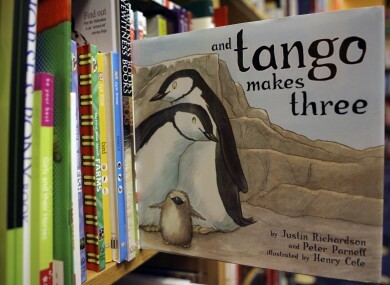 Following that, two children books, “And Tango Makes Three” and “The White Swan Express”, were removed from the National Libraries after a feedback from a member of the public that the books contained LGBT contents and ‘does not promote family values’ (Channel News Asia, 2014). Such stigmatization may results in two main problems: one being stimulation of hostile reactions towards the LGBT community with little obvious motivations other than hatred (Adams, Wright, & Lohr, 1996)and second being the arosement of minority stress (Glassgold, et al., 2009). Homophobic hostilities might be imminent as long as a significant proportion of the public refused to acknowledge such kind of alternate lifestyle, which in turn might results in social unrest. For example in Russia, the anti-gay laws inspired extremists to throw verbal and physical abuses onto gays (Luhn, 2013) and fightings among the two groups were even witnessed (The Huffington Post, 2014). Such anti-gays sentiments will also increase the chance of having mental disorders among the LGBT community (Meyer, 2003), which is not idealistic to the overall mental health of the community. Adams, H. E., Wright, L. W., & Lohr, B. A. (1996). Is Homophobia Associated With Homosexual Arousal? University of Georgia. Georgia: American Psychological Association. Alviar-Martin, T., & Ho, L.-C. (2010). “So, Where Do They Fit In?” Teachers’ Perspectives of Multi-Cultural Education and Diversity in Singapore. Nanyang Technological University, National Institute of Education, Singapore. Donnelly, J. (1999). Non-Discrimination and Sexual Orientation: Making a Place for Sexual Minorities in the Global Human Rights Regime. University of Denver, Graduate School of International Studies, Denver. Furland, E. B. (2008). Singapore, From Third To First World Country: The Effect Of Development In Little India and Chinatown . Norwegian University of Technology & Science , Department of Geography, Trondheim. Glassgold, J. M., Beckstead, L., Drescher, J., Greene, B., Lin Miller, R., & Worthington, R. L. (2009). Report of the American Psychological Association Task Force on Appropriate Therapeutic Responses to Sexual Orientation. American Psychological Association, Washington, D.C.
Herek, G. M. (1996). Heterosexuals’ Attitudes Toward Lesbians and Gay Men: Does Coming Out Make A Difference? University of California at Davis, Department of Psychology, California. Lim Meng Suang and another v. Attorney General, Originating Summons No 1135 of 2012 (April 9, 2013). Meyer, I. H. (2003). Prejudice, Social Stress, and Mental Health in Lesbian, Gay, and Bisexual Populations: Conceptual Issues and Research Evidence. Mailman School, Columbia University, Department of Sociomedical Sciences. New York: Psychological Bulletin. National Population and Talent Division. (2013). A Sustainable Population for a Dynamic Singapore. National Population and Talent Division, Singapore. Tan Eng Hong v. Attorney General, Civil Appeal No 50 of 2011 (Court of Appeal August 21, 2012). Tham, Y.-C., & Mokhtar, M. (2014, January 28). Singaporeans Still Largely Conservative, IPS Survey Finds. The Straits Times.